Nonprofit organizations play a huge role in helping society. Even though their main goal is to help people, instead of creating a profit, they’re still considered small businesses. This means their people and assets need to be protected. Do you run a nonprofit organization? If you do, you probably don’t have a large number of funds in your operating budget to pay for unforeseen disasters or lawsuits that could lead to bankruptcy. That’s why it is so important that you get the correct insurance coverage to protect your nonprofit organization. 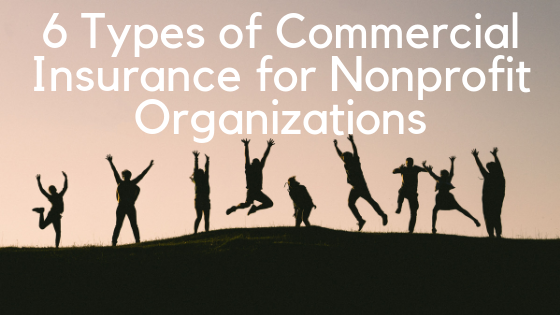 Here are six of the most important commercial insurance policies you’ll need for operating your nonprofit organization. This type of policy, which is also known as a “commercial general liability” (CGL) policy covers your nonprofit organization against claims involving someone suffering from bodily injuries, such as “slip-and-fall” cases. It also includes different types of property damage that can occur from your premises as well as from your products or operations. A general liability policy covers a nonprofit organization for any damages that are required to pay to customers, visitors, associates or whoever is hurt on your business property. However, these types of insurance policies do not apply to the employees at a nonprofit since they’re covered separately by workers’ compensation. 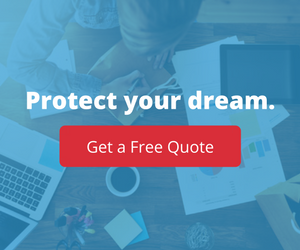 Property insurance protects your building and the stuff your nonprofit organization owns. As a nonprofit organization, you may not have a lot of business property. However, it’s still critical that you get property insurance, considering that some of the worst insurance claims are linked to property, such as vandalism or burst pipes in an office. If you rent, property insurance still covers any items that belong to your organization, such as equipment, furniture, inventory, supplies, machinery, lighting systems, carpeting, and other fixtures and belongings, that could be damaged or lost from theft or natural disasters. These include earthquakes, fires, storms or other catastrophic events. Auto liability insurance is required if the people working for you, including volunteers, use vehicles, which includes their own vehicles. It covers injuries caused by a driver to people and property when working for the nonprofit organization. What’s more, you may live in a state that requires additional auto insurance, which includes PIP (personal injury protection) and UM/UIM (uninsured/underinsured motorist coverage). Directors and Officers (D & O) Insurance cover the directors and officers (which typically includes volunteers) of a nonprofit organization. Consider how they could mismanage a nonprofit’s finances or cause fraud. When this occurs, you need to have the right coverage to defend them, besides cover the cost for financial damages. Some claims are not covered in a D & O policy, such as damages from fraudulent or criminal behavior. Another example is claiming from one director of another director. This type of coverage, which is like D & O insurance, is also known as “errors and omissions” insurance. It provides protection against liabilities that are caused by an organization being mismanaged, besides other types of claims that can occur at a workplace, such as sexual harassment or discrimination. In addition to covering directors and officers, it also covers a nonprofit’s staff and volunteers. Unfortunately, cyber theft is occurring more and more with nonprofits these days, just as it is with other commercial businesses. Consider how cyber thieves can steal donor and employee data from computer servers of nonprofit computers. Cyber liability insurance also covers paper document exposure. Additional insurance is needed if your nonprofit organization has employees. If your nonprofit has volunteers, you may need a general liability policy that covers bodily injury, in addition to property damage. On the other hand, many nonprofits provide separate insurance for their volunteers. Do you run a nonprofit organization from your home? If so, you may have to change your home insurance or renter’s insurance policy. In order to acquire a contract, rent a space, secure funds, hold a special event or work with another nonprofit organization, you’ll need to show proof of general liability insurance. Be sure that an insurance policy covers the actual replacement amount for replacing the property. In other words, it’s not the market value of the item, which would be considered “used goods” or what it was worth before becoming damaged. For all your insurance needs, you can depend on the insurance specialists at InsureYourCompany.com. Although we work with a wide range of businesses, we mainly focus on single-person LLC’s in tech and small New Jersey businesses. Please contact us and find out more about our many products.